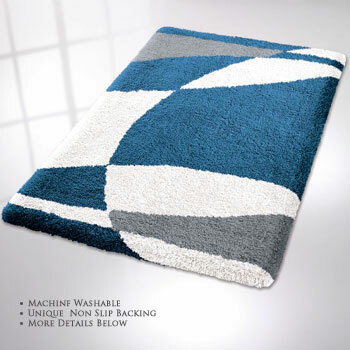 Luxury contemporary bath rug with a dense high pile 25mm / .98in. Geranium : A great center piece that will add elegance to any bathroom. The color range includes white, grey and red. Ice blue: What a fun bath rug color. The range of colors include white, charcoal grey, and blue.